Guru3D has just published a review about the Sparkle’s GeForce 9600 GT passively cooled with 512MB GDDR3 memory. With a pretty standard amount of airflow in the PC the core temperature of this passively cooled product just did not exceed 60 degrees C. And that’s pretty extraordinary as I’ve seen active cooled solutions at much higher thermals. With such great temperatures I did what I normally do not do with a passively cooled product, I overclocked it. Standard clocks are 650/1600/800 for the core, shader processors and memory respectively. We boosted performance up big-time, by overclocking the card to 766/1955/1053 MHz. That is 10 to 15% extra performance straight out of the box there. For a passive product that’s just an astounding overclock. 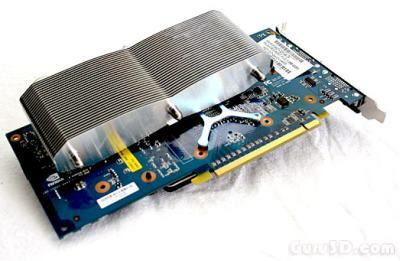 Read the complete review here: Sparkle GeForce 9600 GT Passive Cooler. 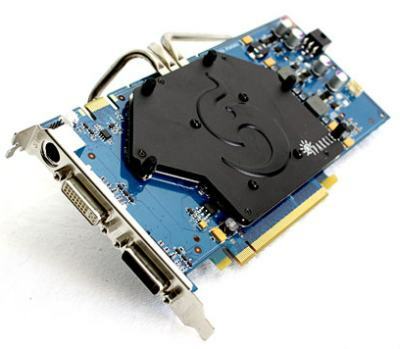 Want more news about the GeForce 9600 GT: GeForce 9600 GT @ Geeks3D.